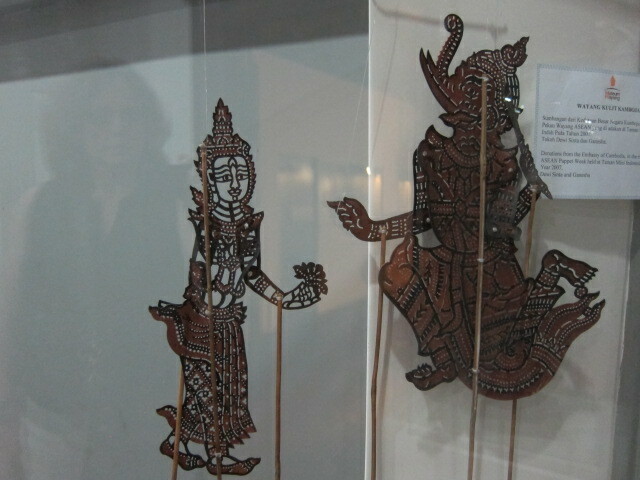 I visited the Wayang Puppet Museum in Kota Tua, Jakarta, on Saturday. 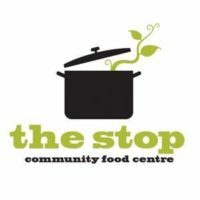 I saw the most amazing puppets and met some fascinating puppeteers and puppet makers. 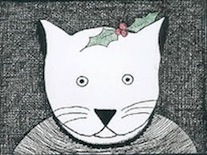 I plan to return one day soon to see a puppet performance. 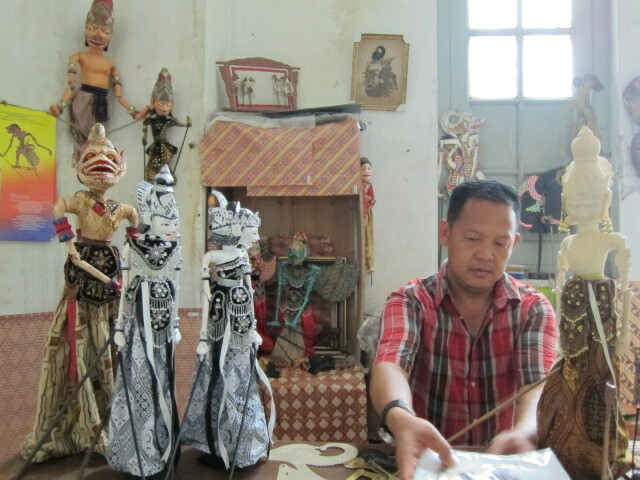 These puppets were originally used in the royal courts of Java and Bali and in rural areas before their use spread to the islands of Lombok, Madura, Sumatra and Borneo, according to the UNESCO website. 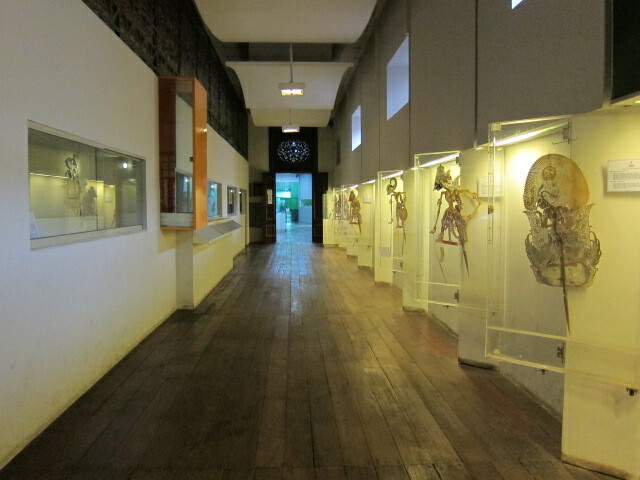 There several types of puppet in the museum — including American and European marionettes — but the Indonesian ones on display are mainly the three-dimensional wooden puppet (wayang klitik or golèk) and the flat shadow puppet made of leather from buffalo or goat skin with holes punched into it (wayang kulit), which are projected in front of a screen lit from behind. The puppets are manipulated by sticks. 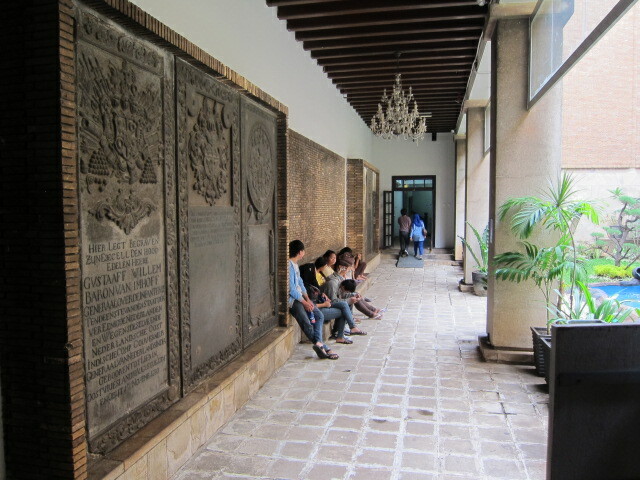 I became the object of fascination among Indonesian tourists who seemed to enjoy taking pictures of me as I spoke with one of the curators in the museum. He came and spoke to me, saying he’s travelled all over Canada, Britain and other parts of the world to show the puppets — he comes from a long line of puppet makers. 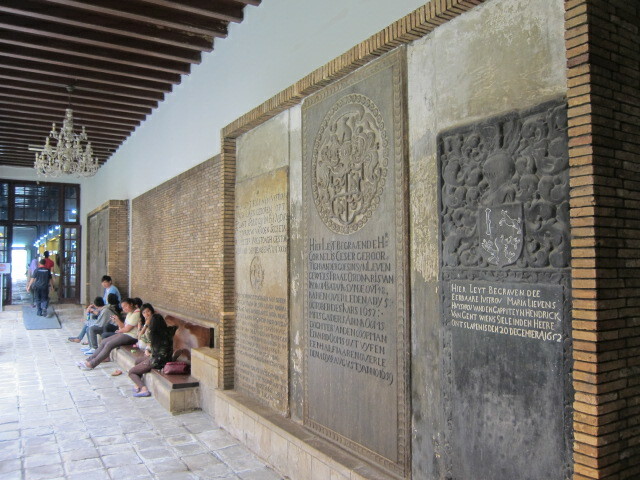 The museum is in a building which was formerly a church. 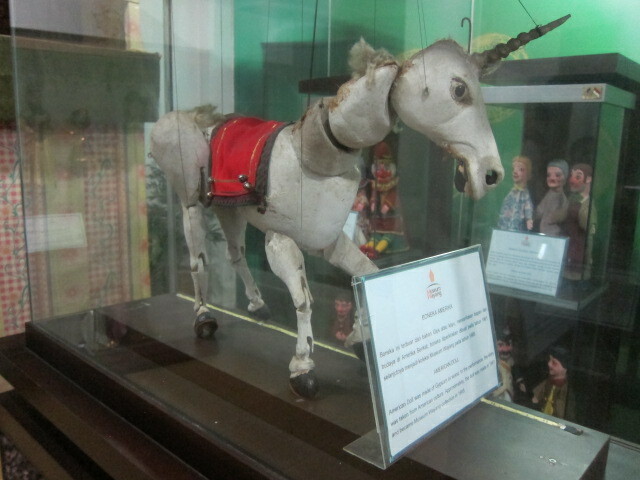 This unicorn is called “American Doll”. 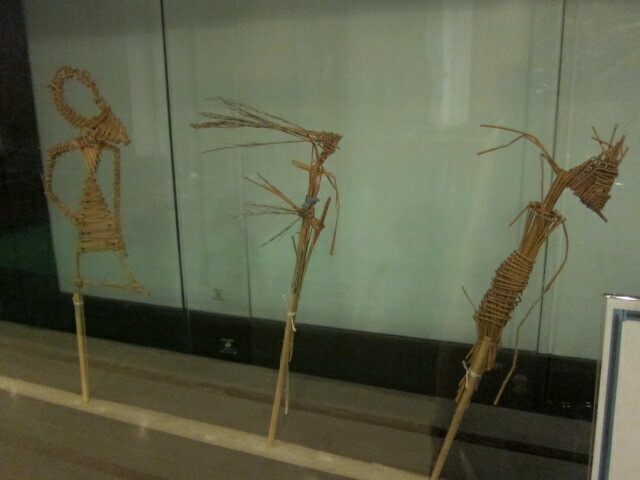 The puppets below are made by rural children. 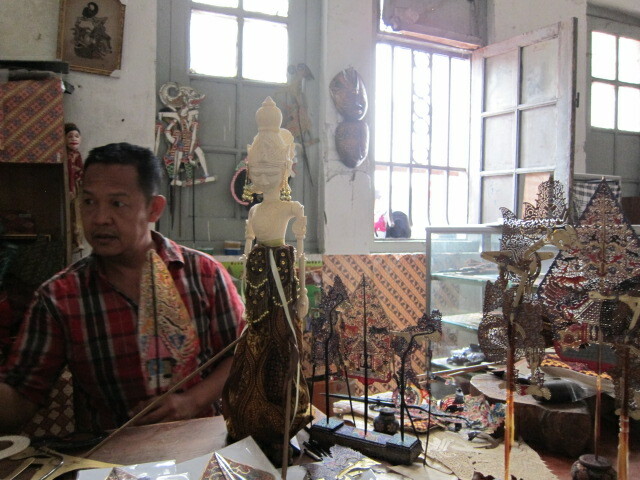 This man said he comes from six generations of puppet makers. 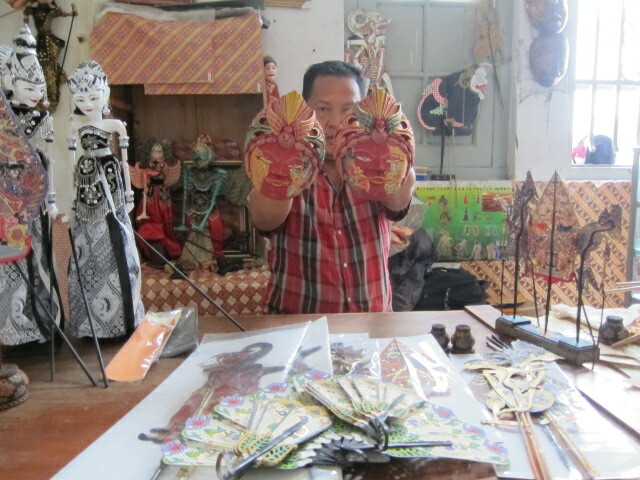 He said his grandfather made all these puppets he showed me. 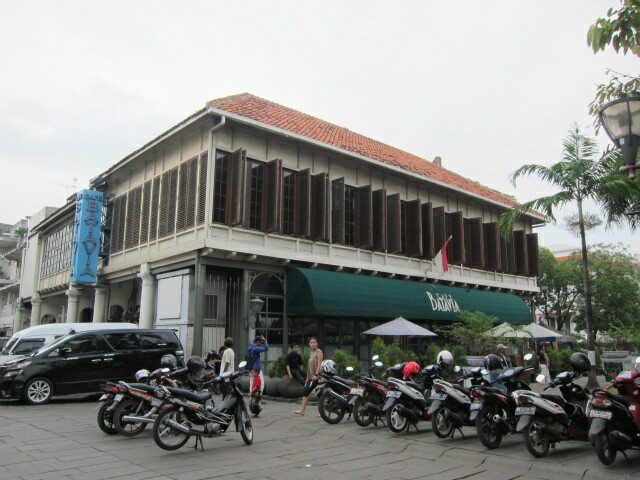 I went to Cafe Batavia for a cappuccino before I went into the museum. It is an incredible old jazz bar mainly made of teak wood inside. 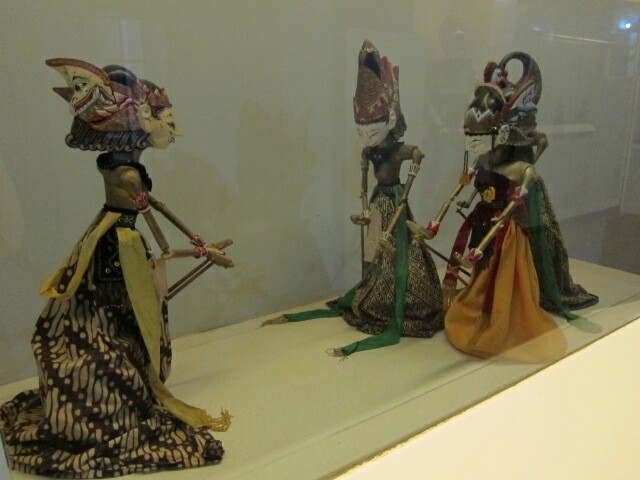 This entry was posted in ruminations and tagged Indonesia, Jakarta, Kota Tua, puppets on 07/04/2013 by Julie Mollins.